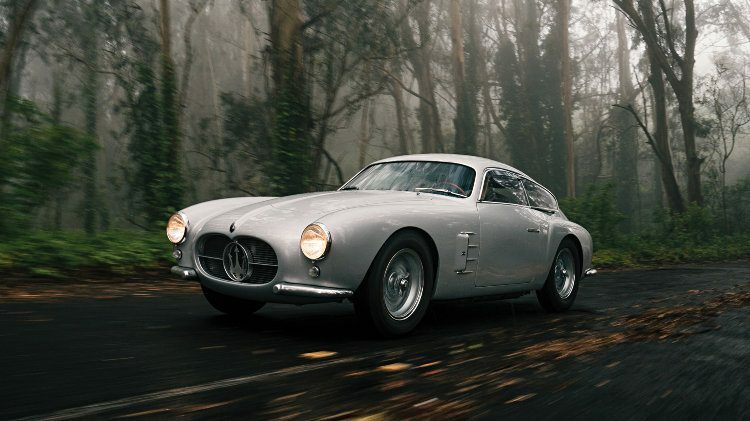 A 1956 Maserati A6G/2000 Zagato that participated in the Mille Miglia was announced as a highlight for the RM Sotheby’s Monterey 2018 classic car auction. RM Sotheby’s will offer an exceptionally rare 1956 Maserati A6G/2000 Zagato Berlinetta at its annual Monterey sale in August 2018. 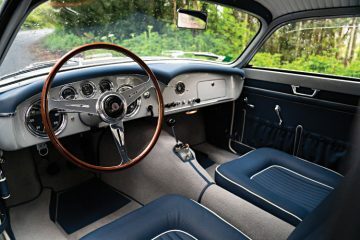 This Maserati A6G/2000 was Maserati’s factory demonstrator in the 1956 Mille Miglia race and was subsequently also campaigned in period by private owners. 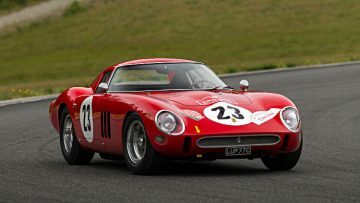 It was also regularly seen at the Mille Miglia Storica. The comprehensively restored Maserati retained its original engine and gearbox and was rewarded First in Class at the 2015 Concorso d’Eleganza Villa d’Este, as well as Second in Class at the Pebble Beach Concours d’Elegance in 2015. 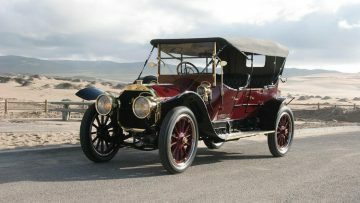 The pre-auction estimate is $4,250,000 – $5,250,000. 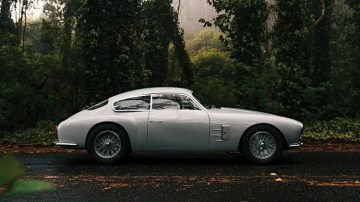 The 1956 Maserati A6G/2000 Zagato Berlinetta, chassis no. 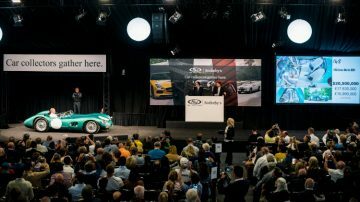 2124, estimate $4,250,000 – $5,250,000, is the most-expensive car thus far announced for the annual RM Sotheby’s Monterey 2018 sale. It joins the 1968 Porsche 908 Works Short Tail Coupe as early announcement lead cars. This car is one of just 21 Maserati A6G/2000 examples custom-bodied in lightweight alloy by instantly recognizable coachbuilder Zagato. Zagato used aircraft streamlining and purpose-built the car for competition. Chassis no. 2124 was Maserati’s factory demonstrator in the 1956 edition of the legendary Mille Miglia race, piloted by Luigi Taramazzo. Following its Mille Miglia debut, the A6G/2000 went on to compete in numerous period events internationally under private ownership, remaining remarkably intact throughout its life. Today, incredibly, the A6G/2000 Zagato retains its original engine and gearbox, one of less than a handful of examples that have remained numbers-matching over the last six decades. Boasting Maserati Classiche certification, chassis no. 2124 is offered in Monterey with an exhaustive history file documented by Adolfo Orsi, alongside books, tools, and restoration receipts. A rare sight at auction, with custom coachwork by none other than Zagato and period competition history at one of racing’s greatest events, the Maserati is sure to be the jewel of any collection of Italian thoroughbreds (Est. $4,250,000 – $5,250,000). 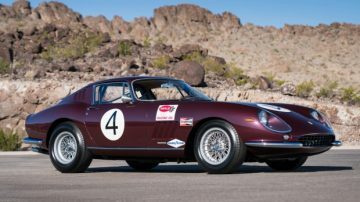 “You get in this car, you turn the key, you fire it up, you get out on the road and it feels like you might be the first guy driving it out of Maserati in 1956—it’s that authentic,” says David Swig, Car Specialist, RM Sotheby’s. 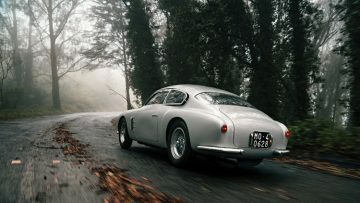 “An A6G/2000 Zagato is hands-down one of the best GT cars of its era, and this particular example is truly among the best of the best, thanks to its original components, race history, documentation, restoration, and incredible good looks. 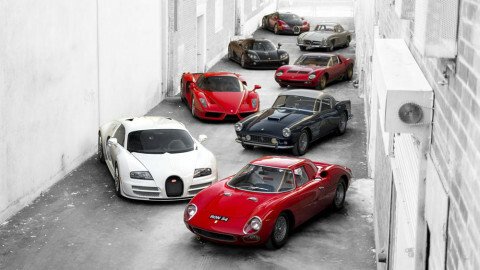 Maseratis generally sell for less than contemporary Ferraris but at least 20 have sold for over a million dollar in the past four years. 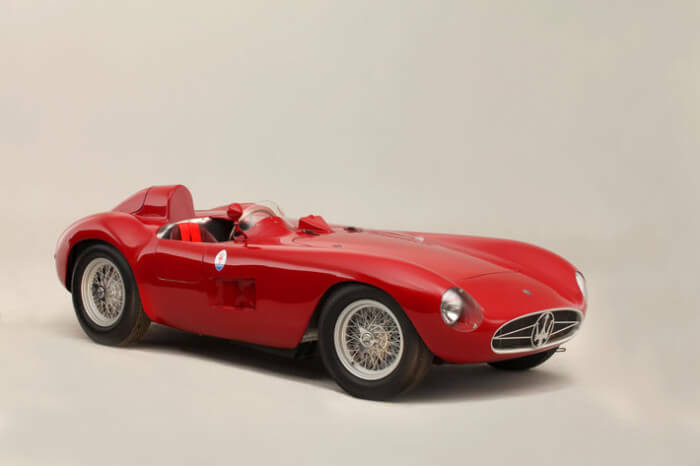 The highest price paid for a Maserati A6G/2000 was $4,455,000 for a Spider by Zagato at the RM Auctions New York Art of the Automobile sale in 2013. The Maserati marque record was set in 2013 when a 1955 Maserati 300 S Sports Racing Spider sold for $6,646,757 at the Bonhams Goodwood Festival of Speed sale.